For people with frequent headaches and nausea, the pain can be debilitating. What is causing Your Headache and Nausea? 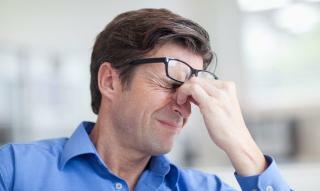 A common medical condition that causes headaches and nausea is migraines. Currently, over 35 million people in the United States suffer from migraines, and 90% of sufferers are unable to work or function normally during their migraine attacks. Migraines, while common, are not the only cause of headaches and nausea. So, how can you tell if it’s a migraine or something else? Your headache causes a throbbing pain on one or both sides of your head. You have excessive eye pain that is sometimes accompanied by double vision or dizziness. You have numbness or tingling on one side of your body. You are sensitive to light and sound. You experience weakness on one side of your body. Another type of common medical condition that causes headaches and nausea are cluster headaches characterized by an onset of sudden, sharp pain. Scientists still aren’t quite sure why people suffer from cluster headaches, but they can be more debilitating than migraines. Attacks can be chronic or episodic and tend to happen on just one side of the face. Tension headaches are the most common type of headache. Unlike the sharp pain of a cluster headache, tension headaches tend to cause dull, mild to moderate pain. Tension headaches also aren’t typically accompanied by nausea or vomiting. What else could be causing your headache and nausea? If your headache and nausea become troublesome, seeing a doctor can help diagnose and treat your medical condition. If you want to know more about the cause of your headache and nausea, FastMed Urgent Care can assist you any day of the week. FastMed provides compassionate care from high-quality medical professionals with no appointment or insurance required. FastMed Urgent Care has extended hours during the week as well as on weekends and holidays. Click here to learn more about FastMed’s many services.